N – indicates health unobjectionability of films designed for direct contact with food and meals (e.g. OAMN). If there is no surface treatment, the letter “N” is in the third position (e.g. OAN). 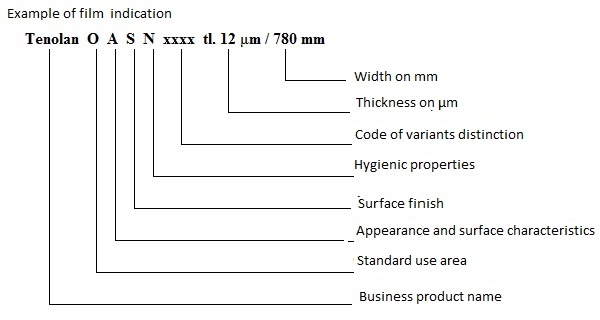 e) Four-digit numerical code serves for variant distinction within the group and indicates features of individual film types.